For the full agenda, visit: http://www.cookstovesfuturesummit.org/agenda/. Radha with the Global Alliance for Clean Cookstoves did a nice job outlining development challenges. Forum on Clean Cookstoves and Fuels were held in Phnom Penh, Cambodia from March 18-22, 2013. The Forum will focus on methods to drive innovations in research, market development, standards and testing, policy development, and other topics. The first day (March 18th) will feature in-depth topical workshops topics such as gender, finance and health. The following three-days (March 19-21) will include sessions with thematic tracks in areas such as project development, fuels, standards and testing, financing, research, and capacity building. 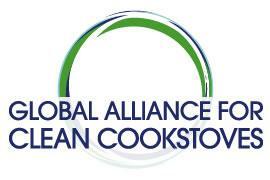 It is with great pleasure that I send you the first newsletter of the Global Alliance for Clean Cookstoves. The Alliance’s mission is to save lives, improve livelihoods, empower women, and combat climate change by creating a thriving global market for clean and efficient household cooking solutions. Since our launch last September, we have made important strides toward advancing these goals. Through our Working Groups and Cross-Cutting Committees , we have convened the global stove sector – more than 350 experts – to identify the key actions needed to create a thriving global market for clean cookstoves and fuels. The groups’ topics range from health, climate research, and finance and investment to standards and testing, gender issues, and more. They recently submitted Early Action recommendations for the Alliance to consider undertaking in the next year. We look forward to supporting as many of these recommendations as funding will allow. Another objective of the Alliance is to raise public awareness of the need for clean cookstoves. Through increased global press coverage and feature segments on programs, such as the Martha Stewart and Oprah television shows, we have begun to engage the general public in supporting clean cooking solutions. Lastly, we are actively engaging with donor and implementing country governments to encourage the establishment of national policies that will ensure that clean cookstoves reach the millions of women around the world who need them. We look forward to sharing our successes through future newsletters and working with you to promote improved cookstoves and fuels around the globe. Upcoming Events: Cookstoves on Oprah! On May 7th, Oprah Winfrey will host a special television show called “Extraordinary Moms” in honor of Mother’s Day. The show will feature an interview with U.S. Secretary of State Hillary Clinton talking about cookstoves and the impact that they have on women around the world. The Alliance’s new Global Ambassador will also be revealed on the show! We ask you to publicize this event on your website, Facebook page, or on Twitter, and make sure to watch what is sure to be a very inspirational show! In May, the U.S. Government’s National Institutes of Health will lead a workshop in Washington, DC, to discuss what is known about the health impacts of harmful cookstove smoke and to determine critical research gaps that, if addressed, can help identify strategies for improving the health of poor women and children globally. We look forward to sharing the outcomes of this conference with our Partners and Donors when they are available. For other Upcoming Events of interest, please click here.